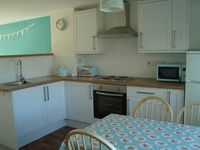 54 Atlantic Reach, located on a family friendly site 8 miles out of Newquay. Property 3: 54 Atlantic Reach, located on a family friendly site 8 miles out of Newquay. Property 6: Holy Island is just 5 minutes away from this superbly equipped cottage. Sleeps 8, sea & beach views, 5 min walk from golden sandy beach. Dogs welcome. Property 17: Sleeps 8, sea & beach views, 5 min walk from golden sandy beach. Dogs welcome. Rachael’s Rest, cosy comfortable home from home, a warm welcome awaits you. Property 31: Rachael’s Rest, cosy comfortable home from home, a warm welcome awaits you. Relaxed Margate cottage, minutes from the beach! 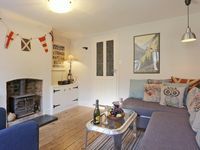 Property 39: Relaxed Margate cottage, minutes from the beach! Property 40: All the advantages of a village location but within easy access of Inverness. Property 47: July bargains available - ask for details. Super seafront house. Pet-friendly. Property 48: Perfect retreat for couples wanting to relax, or enjoying the outdoors life. Property 49: A unique stone chapel conversion is situated in Bampton, close to Oxford and the Cotswolds. Property 50: Housekeepers, sleeps 4/5, characterful, beamed property near the Quantock Hills. We stayed 6 nights here , slightly out of season , it was nice &amp; quiet.&amp; on-site facilities were okay , although mostly closed when we stayed. The whole site was kept clean &amp; tidy , &amp; there were large bins there for people to dispose of their rubbish &amp; re-cycling during or @ the end of their stay. Being slightly out of town meant we had good quick access to many road routes to other places , which we made use of , in our car to visit a lot of sites to see in Cornwall , &amp; most of the A roads were good Staff on-site were friendly &amp; helpful if you needed something , although we were told because we were in privately rented accommodation we couldn't use the on-site indoor swimming pool , in fact not even when we offered to pay entry we couldn't which I thought silly , being out of season the pool was quite empty &amp; the site could make up short fall income , off season , this way.